Commercial court refuses to seize $200 mln assets belonging to M Bank ex-managers | Russian Legal Information Agency (RAPSI). 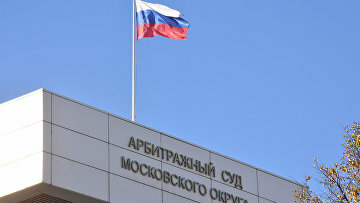 MOSCOW, February 8 (RAPSI) – The Moscow District Commercial Court has upheld a lower court’s refusal to seize assets of ex-board chair of Mosstroyeconombank (M Bank) Victoria Fialko worth 12.7 billion rubles ($192.5 million) and $6 million, and other nine ex-managers of the financial organization, according to court records. The Moscow Commercial Court dismissed the Deposit Insurance Agency’s lawsuit seeking the asset seizure of M Bank ex-managers on August 22, 2018. An appeals court dismissed a complaint against the ruling on November 19, 2018. Motylev living abroad is reportedly a defendant in a case on embezzlement at M Bank. Allegedly, over 1 billion rubles were transferred from the bank to phony companies where they were cashed and stolen. 12:41 08/02/2019 The Moscow District Commercial Court has upheld a lower court’s refusal to seize assets of ex-board chair of Mosstroyeconombank (M Bank) Victoria Fialko worth 12.7 billion rubles ($192.5 million) and $6 million, and other nine ex-managers of the financial organization.